When a parent is missing, we are there. 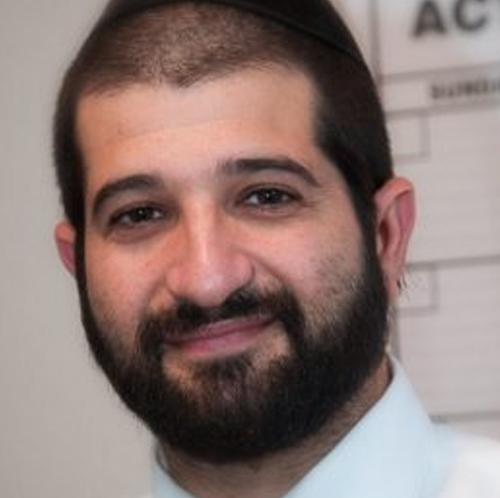 Rabbi Doniel Drandoff lives in Far Rockaway and received rabbinic ordination from Yeshiva Shor Yoshuv. In his earlier years he directed the boys program at Madraigos for teens at risk. He has since started a learning program for young Jewish men in Shor Yoshuv which he has been leading for the past 8 years. As a spiritual guide to many young families, Rabbi Drandoff has found working with families to be of prime importance. This is why he set out to gain a Masters level degree in Marriage and Family Therapy (MFT). As an MFT student in NorthCentral University, Rabbi Drandoff joined My Extended Family as an intern working with children and families. He is now the assistant clinical director and helping families everyday. Your support helps us spare children from a profound emotional desperation that robs them of their hope and compromises their future as healthy members of our community. My Extended Family provides comprehensive and preventative real time support to children of single parent families in a safe and caring environment. We provide the tools to help them not only cope, but also to thrive. We provide assistance and nurturing for the child, filling in the gaps and void that may exist at home.